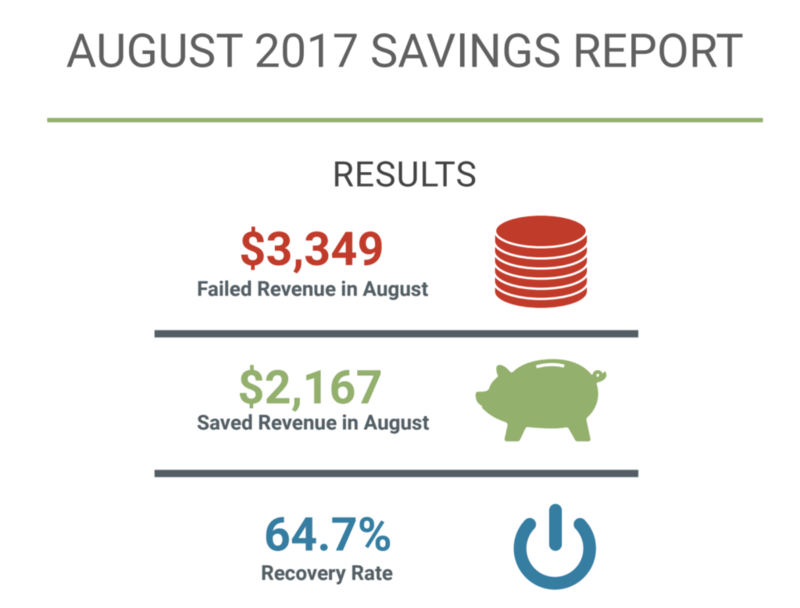 Welcome to my August 2017 Monthly Income Report! 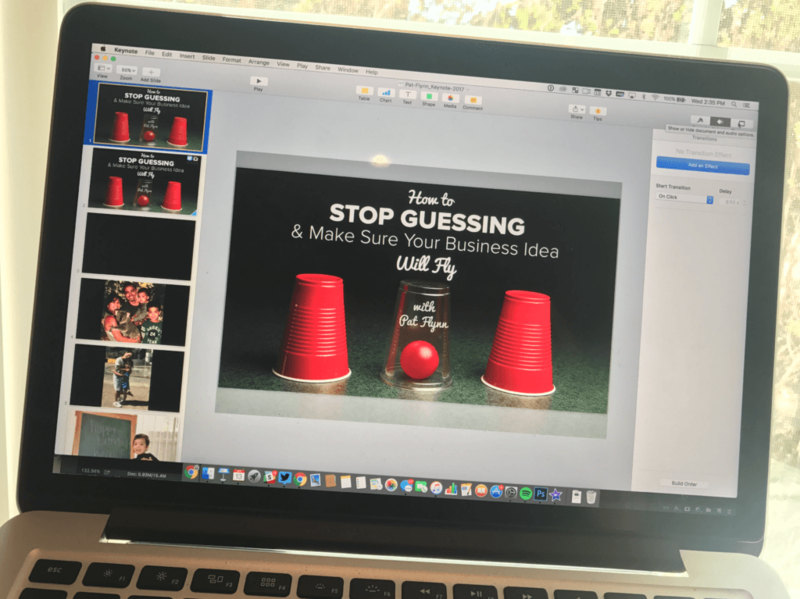 I’m excited to keep you up to date on the inner workings of SPI and all that happens here in the business, from the wins, the losses, and even the income and where it all comes from. If this is your first time here, make sure to check out the income report page where you can see the history of income reports on the blog dating back to October of 2008. It’s been almost nine years since starting my online business, and we’ve had a lot of ups, a lot of downs, but no matter what it’s a lesson for those of you looking to build an online business of your own. Happy to share, and happier you’re here following along. Let’s get into what happened this past month. Speaking has become a passion of mine. If you want to know how I got started with it, check out SPI Podcast Session #230 where I tell the story of how I booked my first talk in 2011, and why it was one of the scariest moments of my life. Now, after speaking on stages of all sizes, all over the world, I’m happy to be able to choose exactly where I want to speak, and make the best of those trips. Do I still get nervous? Absolutely! If you’ve seen me backstage or the moment right before I go on stage, you’ll notice I’m a nervous wreck, often pacing back and forth—almost to a point where I’m throwing up! It’s bad. But I’ve learned to be able to convert that nervous energy into excitement. The butterflies tell me it’s an important talk, one that I’m going to enjoy once I’m up there, and after the first minute I’m perfectly fine and on auto-pilot. That’s why I spend a lot of my rehearsal time leading up to the speaking gig practicing those first few minutes. The Problogger Conference, which takes place annually in Australia, holds a special place in my heart. It was one of the biggest conferences where I spoke in 2014, and Darren Rowse from Problogger.com was a huge inspiration to me when I first started blogging back in 2008. To be invited back to speak, which is usually by request from the attendees, was an absolute honor. I was excited to speak twice while in Australia this year—once in Brisbane, and a week later in Melbourne. I was also able to bring along my wife and two kids. Now that my kids are a little older (ages seven and four) than last time, it’s definitely much easier on us. 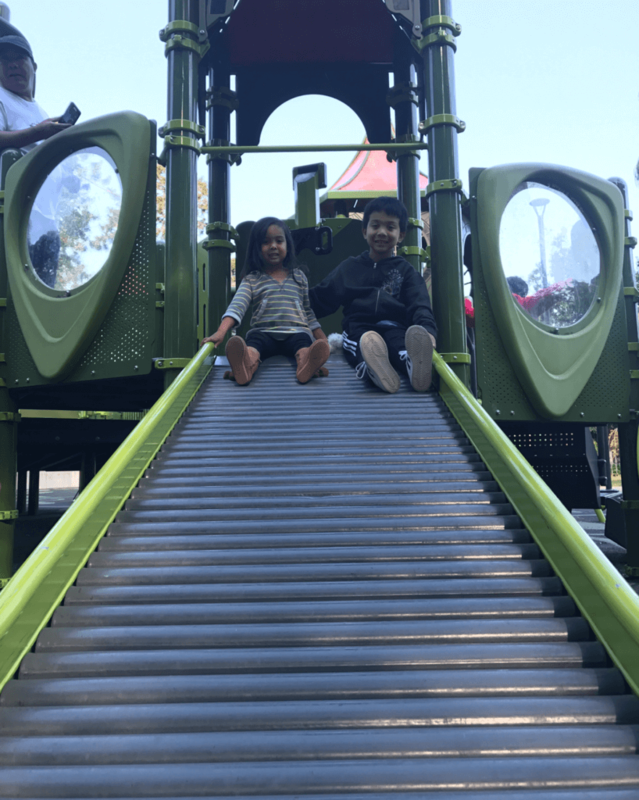 From the airplane travel (about fifteen hours on the plane each way), to just moseying around town, having the kids be able to walk on their own and last longer before needing rest made the trip much more fun. I love bringing my family with me, and it’s something I hope to be able to do when traveling to events in the future. 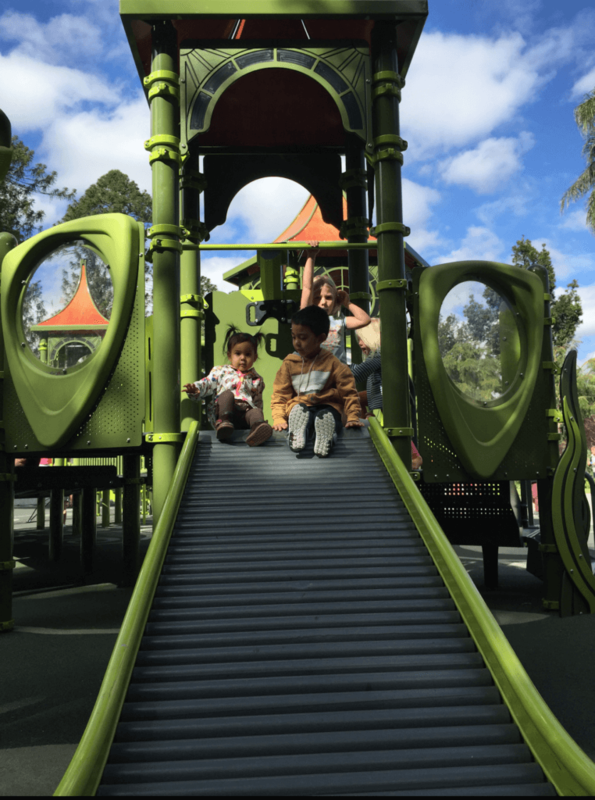 Here are the kids on a playground in 2014, and here they are again in 2017 in the exact same spot. Man, they grow up so fast! 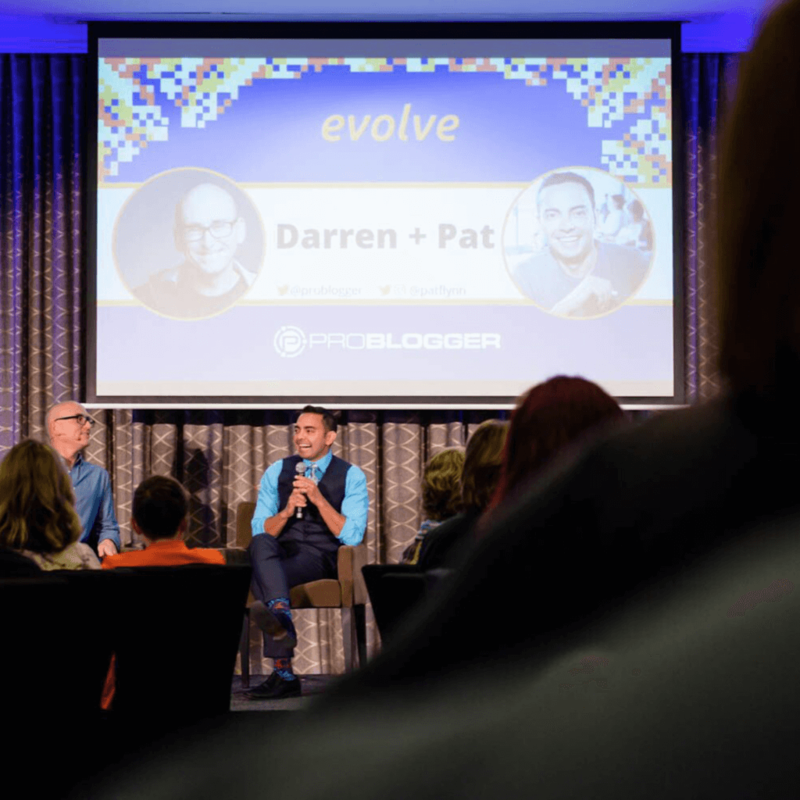 The theme of the conference this year was “Evolve.” Darren spoke about how his blog and business have evolved since he started in the early 2000s. Seeing how his business at Problogger—and his even bigger business at Digital Photography School—changed over time, it was inspiring, a little amusing, but also very real. Hearing Darren’s story made me realize that we all go through adjustments and changes over time, and even someone as high-caliber as Darren started in the same way we all do. Some of his first blogs looked horrendous (no offense Darren! 😀 You can look at mine; I’m in the same boat), and his attempts at monetization early on were like my first attempts—intimidating. In both city locations for the event, I opened each day after Darren’s keynote with a Q&A with Darren about how my businesses have evolved over time too. And then I finished each day with a keynote presentation related to Will It Fly? and idea validation. Thanks to everyone who attended the conference with me in Australia, and big thank you to Darren and the entire ProBlogger team for the invite and the hospitality. Will we be back to Australia again soon? The coffee is calling me, and I may have another opportunity to speak again next year—so that’s a definite maybe! Another favorite conference of mine is Podcast Movement. I was happy that it was happening in Anaheim, California this year, which is only about two hours north of me here in San Diego. After driving up on the 22nd, I was excited to participate in a panel at the event with two podcasting friends of mine, Amy Porterfield and John Lee Dumas. I performed the opening keynote last year (here’s a recording of it on YouTube), which was extremely fun, but also nerve-wracking (you know the deal, wanting to throw up beforehand, sweaty palms, etc.). This year, it was nice to have a more casual approach to the conference. Panels are great because you don’t have to prepare very much, but they can also be a little scary because you don’t know exactly what’s going to be discussed. Luckily, Amy, John, and I spent some time before the event going over our game plan, and from what we heard from the audience afterward, we rocked it. It was about podcasting and business, and we talked about everything from getting more downloads, to using your podcast within a sales funnel, and more. One of my favorite things to do at conferences is talk to fans of SPI, so after my talk, I spent the entire day walking up and down the hallways chatting with people. I love asking questions about how people found out about SPI—a memorable post or podcast episode—and I also start asking questions about what they wish was there on SPI that isn’t yet. One interesting thing that happened at this event was that I noticed a camera crew following John Lee Dumas around. I was like, “John, what’s going on here? Are you doing an Ask Gary Vee style vlog or something?” It got me excited, because I would actually love to see how JLD rolls on the daily, but I was surprised to learn that it was just a one-time thing, at least for now. When I asked him where he found the videographers, I found out it was a crew from Eighty80rule.com, who was there supporting influencers at Podcast Movement and demoing their service. You can hire them to create vlog (video blog) style videos, which I thought was pretty neat because a vlog is something I’ve always wanted to do. When I spoke to Jack, one of the two camera people following John, he offered to film me the follow day! 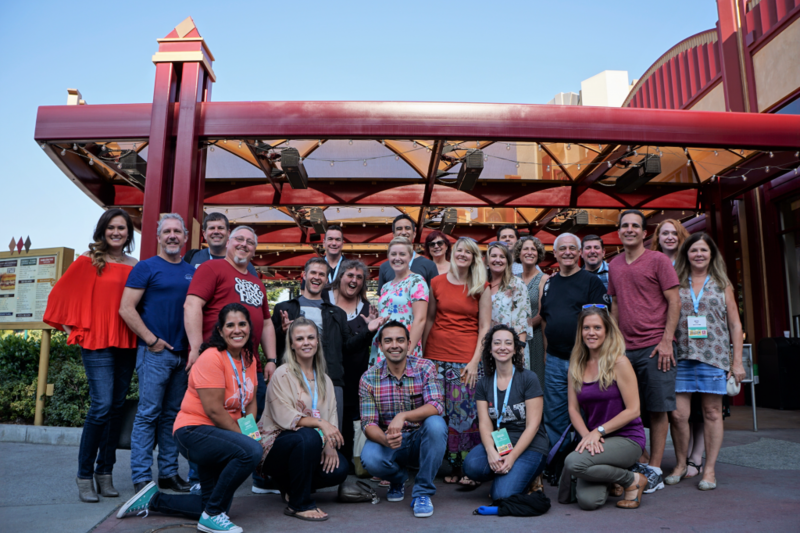 I said that would be perfect, because I had a meetup in Downtown Disney with students from my Power-Up Podcasting® course, and it would be awesome to capture those moments on camera. Jack and another cameraperson, Betty, followed me around the next day—through the conference center, in the expo hall, and even at the meetup too (although we had some trouble getting cameras into Downtown Disney). And I have to say, it was a little weird having a camera follow me all day. But it was also pretty fun! Thinking about the audience watching on the other end, I just felt like you were all there with me. I’m happy to share this video with you from the Eighty80 team, and I’d love to know what you think! My favorite part of the video was the Power-Up Podcasting meetup. It was amazing to hear directly from students of my course just what kind of impact the material was making. I found out that a lot of the students felt the course was way more than a podcasting course—it was also, they described, really a guide to learning how to take action and get things done. Twenty-three students came out to hang for a bit, and many now have their podcast up and running on iTunes since this event. To hear the praise first-hand from the work that I did and the course that I created—it’s the best feeling in the world. Thanks to all of the amazing people who took the time to meet up! 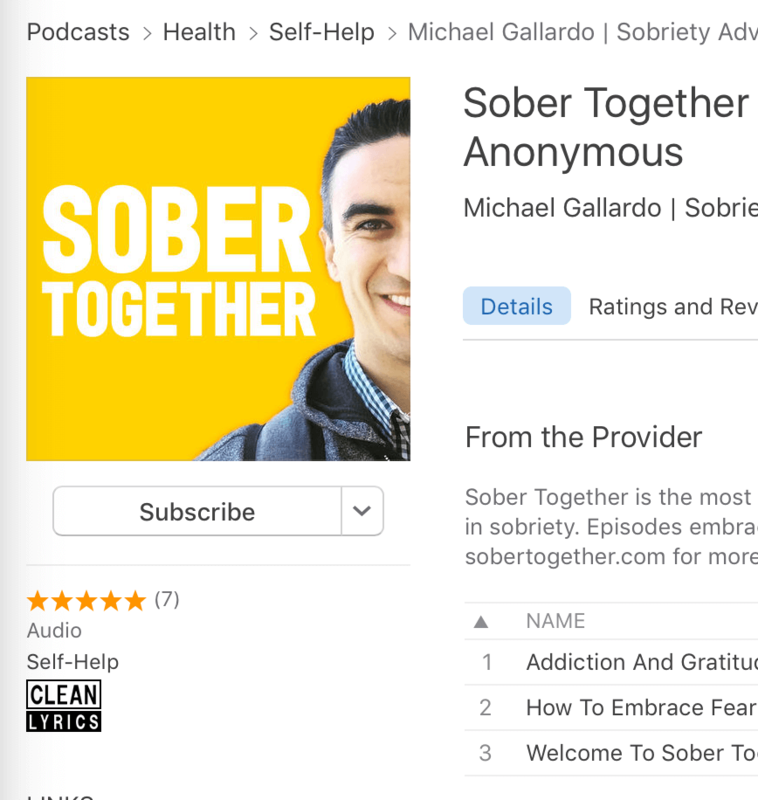 One new podcast in particular that just went live from one of my students is Sober Together, an awesome show from Power-Up Podcasting student, Michael Gallardo. The reason I’d like to highlight this is because of the journey this man went through to get this show up and running. He struggled through a lot of setbacks and mindset limitations when deciding to move forward with this show, and since going live, he’s already received emails from new listeners who personally thanked him for helping them through recovery. Congratulations, Michael! Your show is going to succeed, not just because it’s put together well, but because it’s going to help a lot of people! And check it out, he’s ranking well too! I launched Power-Up Podcasting publicly for the first time in July, and it was the first time I’d ever launched a premium course with a payment plan. Over 500 students signed up, which was amazing, and August was going to be my first time experiencing a round of recurring payments from those who chose the payment plan. I was warned, however, by my friends who have launched courses before, that there would be failed payments, which are a hassle to deal with. Well, there were . . . a lot. For a $197 payment, there were a total of $3,349 in failed payments. That’s crazy! Failed payments can happen because of a variety of reasons: someone may have changed their credit card, their credit card may have expired, bank issues, payment processor issues, etc. No matter what though, it can be frustrating. And I was very frustrated. If you’re interested in this service, it’s called Payment Saver, created by a friend of mine, Casey Graham. It’s a no-brainer if you collect recurring payments for anything. Please know that if you work with Casey and his team, I receive an affiliate commission (at no extra cost to you! ), and I’m sure he’ll take even better care of you. Again, you can see how Payment Saver can help you here. The overall course experience has been amazing, and it’s teaching me a lot of new things I never thought I’d encounter. The rest of August, in between the events, was spent gearing up for the next and upcoming launch of Power-Up Podcasting, which I’ll talk a little bit more about in a minute. For now, let’s get to that income report breakdown! One big mindset hurdle I’m learning about is related to asking for testimonials from my students. As a marketer and business owner, I know how important this is. As a person who is brand new to the online course world, it’s a lot easier said than done. I’m thankful I had a number of students offer a testimonial without me asking, but I knew that I would get a lot more great ones if I were to step up and ask, so that’s what I did. I personally reached out to a number of my successful students after they launched their shows and asked for a testimonial. And wouldn’t you know it, I got a 100 percent success rate. This was a great lesson for me; not because I know their testimonials will help convince even more people to join my course, and not because it makes me feel great knowing I was able to deliver on my promise, but because I simply had the guts to ask. Asking isn’t always easy, and for me, for the first six years of my business, all I did was give. I didn’t ask for anything in return from anyone. I didn’t have any offers or courses to sell. I didn’t ask for favors from my audience more than just a standard “please share” or “if you like this, please subscribe.” And I definitely didn’t ask my friends and colleagues for advice. But lately, as I’ve grown into a more confident person in my business, I’ve been able to start to get comfortable with asking. I’ve started to offer courses and ask people to join who I know it would be perfectly suited for. I’ve learned to ask my customers for testimonials. And I’ve even learned how to ask friends and colleagues for some help when I may not understand something completely about marketing or online business. It’s been a game-changer in my business, and it can be for yours too. Thanks again for all the support. I appreciate you! Also, for those of you interested in starting a podcast of your own (and making sure it gets found! ), Power-Up Podcasting is open for enrollment once again! I’m accepting new students from today, September 18 to the end of September 25, so if you’re ready to get started launching a podcast of your own, and joining an amazing community of other supportive podcaster on your way, click on the link below to join Power-Up Podcasting today!